As of July 1, 2017, the Caring Hands program is no longer in operation. 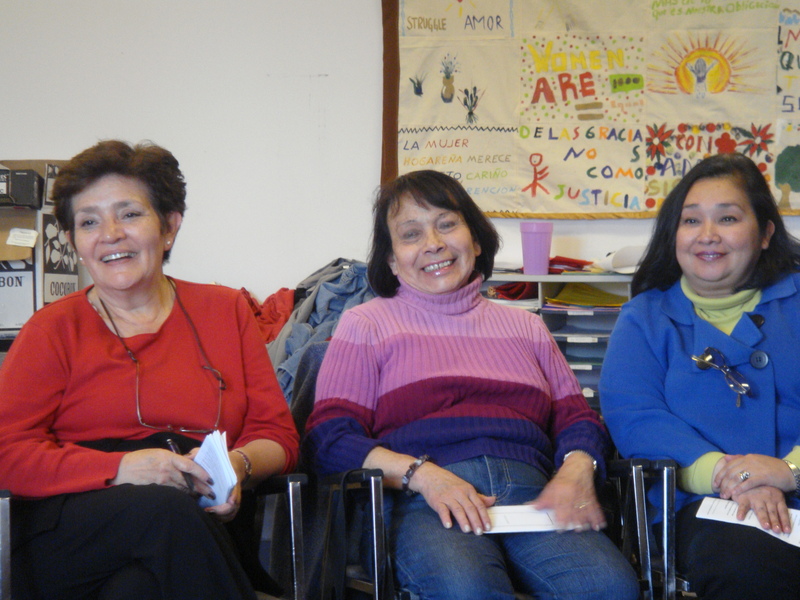 For over 20 years, Caring Hands was a key program of Mujeres Unidas y Activas. Caring Hands represented an opportunity for hundreds of immigrant women to initiate a pathway to economic independence, strengthen their families’ situation and stability, and have the opportunity study and learn new skills that they apply both in their personal lives and in their work. Caring Hands offered a job training and placement program that helped Latina immigrants achieve dignified employment while providing tools for them to be leaders in their own lives and communities. 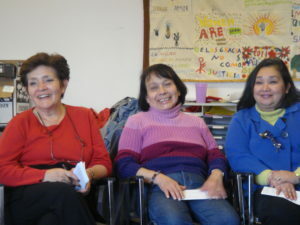 Furthermore, Caring Hands gave hundreds of progressive employers in the Bay Area the opportunity to live their values by offering dignified work to immigrant women. After a year of evaluation and strategic planning, in December 2016 MUA’s Board of Directors made the decision to close the Caring Hands program. Instead of focusing on intensive trainings and job placement services, MUA has since changed our focus to providing services that help to remove or reduce the barriers to employment that immigrant women experience when searching for and maintaining dignified work. We are providing training programs in ESL for domestic workers, how to negotiate with your employer, CPR certification, how to market your skills and attract employers, and how to know and stand up for your rights. Our goal is to increase the number of women who are able to benefit from shorter workshops and individual support. We will continue prioritizing opportunities to participate politically, advocate for our rights, and organize so that domestic work is visible and respected. We engage our community in campaigns for immigrant and workers’ rights. We appreciate the foundations, San Francisco’s Mayor’s Office of Economic and Workforce Development, donors, employers, and social service agencies that have collaborated with Caring Hands over the past 20 years. We also appreciate Carmen Denis for her commitment to our members and their professional development. Carmen remains a part of our staff offering individual counseling and support to women so that they are able to overcome barriers to find their own work. We invite you to continue supporting our efforts to expand our base and our campaigns to enforce labor protections for domestic workers!